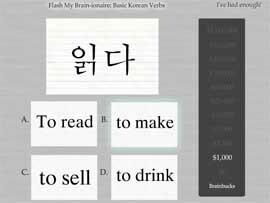 Flash My Brain - Five flash card games to reinforce your flash card learning. 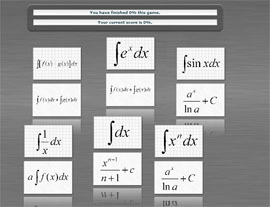 Learn flash cards with five fun flash card games. to break up the routine of flash card studying. 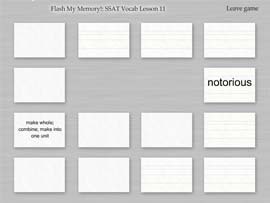 Flash My Brain flash card games and quizes are a way for you to practice your knowledge and they help Flash My Brain track your progress. Let's take a look at the 5 flash card games in Flash My Brain. Here's Flash My Brain-ionaire, a familiar gameshow type game that encourages you to try to get the most BrainBucks while reinforcing your knowledge. Match My Brain! 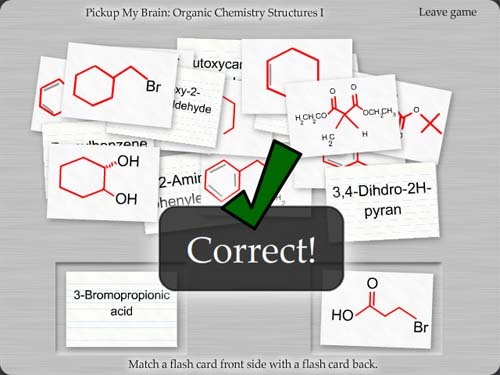 is a flash card game that simply asks you to match front and backs of flash cards together. As usual, Flash My Brain's natural interface makes this game a snap to play. Not Like My Brain is a variation on "one of these things is not like the other." Find the card that doesn't belong to a set of correctly matched up cards or a set of incorrectly matched cards. Sounds simple but it's an excellent exercise to reinforce memorized material! Flash My Memory is an excellent exercise for reinforcing flash card learning. Completing a round of Memory requires visualization of both front and back of a flash card. Challenge yourself by playing the game for accuracy and speed. Flash Your Memory with Flash My Brain! 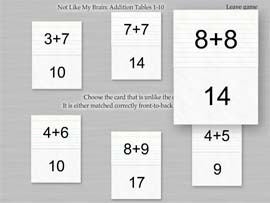 All the cards you make in Flash My Brain and all the thousands of flash cards in there already are fully compatible with these games. These games break up the routine of flash card studying and keep you engaged -- just one more great feature in Flash My Brain. Buy Flash My Brain for $29.95 and start learning the Flash My Brain way!